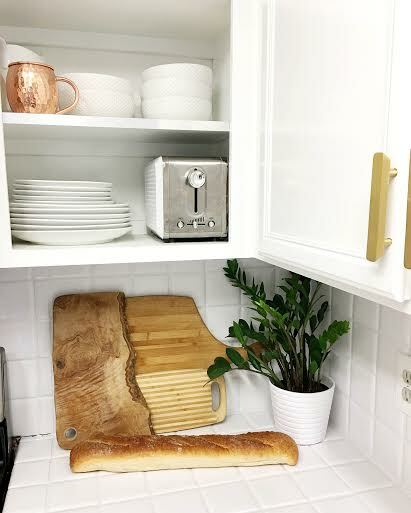 Here is a little comparison of what our kitchen looked like the day we bought our condo, a few years after living here awhile, and what it looks like today. Now get ready….most people would have taken one look at the original kitchen and said, oh heck no, and went on to another house. I knew, though, that this kitchen had potential. I knew it wasn’t going to happen over night or even in the first year. With some patience, we are slowly getting our 1980’s kitchen looking pretty good. 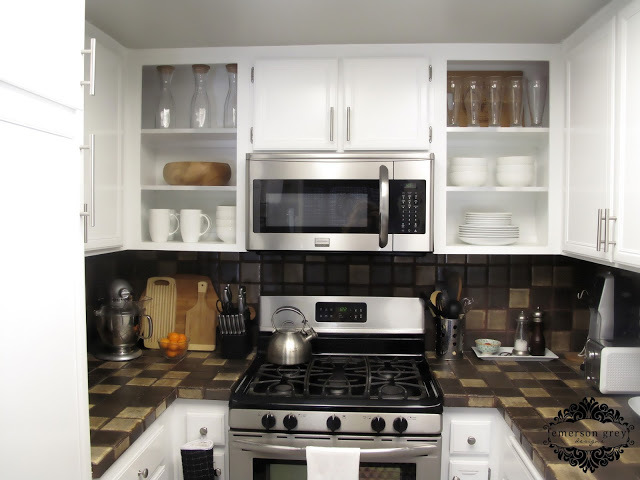 We immediately painted the cabinets white, because our kitchen is towards the back of the house and has very little natural light. And here we are today! 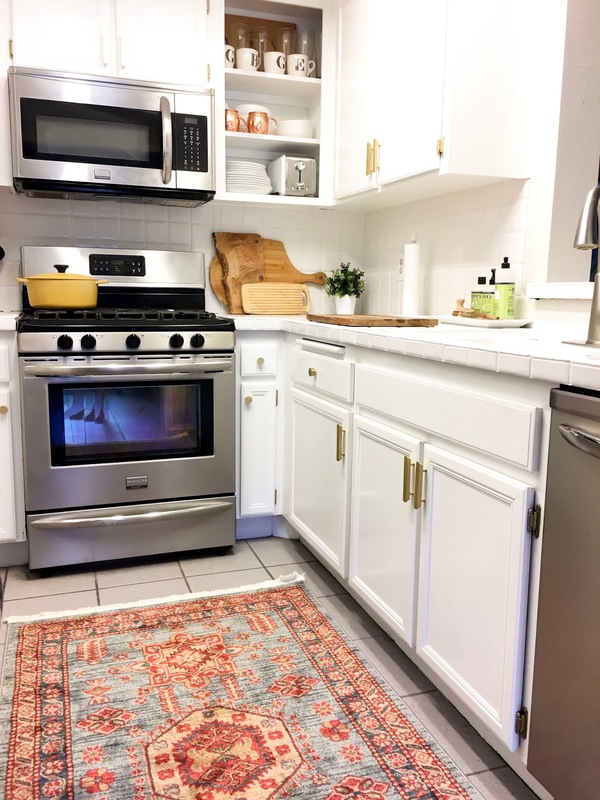 White cabinets, white tile, gold hardware and new rug. Next will be recessed lighting and two new pendant lights! That is the step I can not wait for. Looks SO much better then brown town USA! Love it!! Right?! I can't believe I was able to handle the brown for as long as I did. 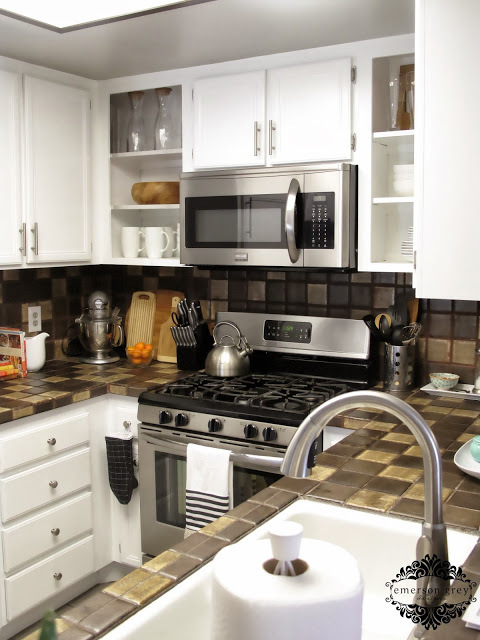 The kitchen interior design images provided in this blog was really excellent. Thanks for sharing.